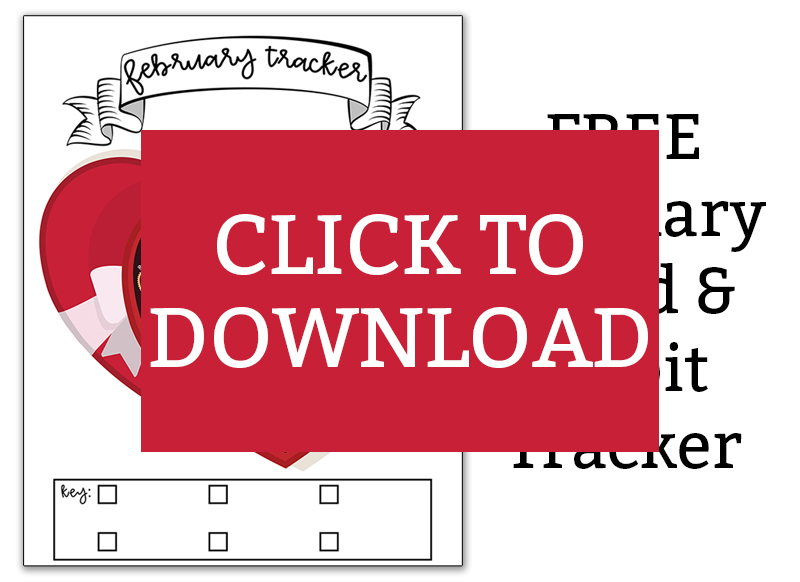 In need of a new February mood tracker or February habit tracker? 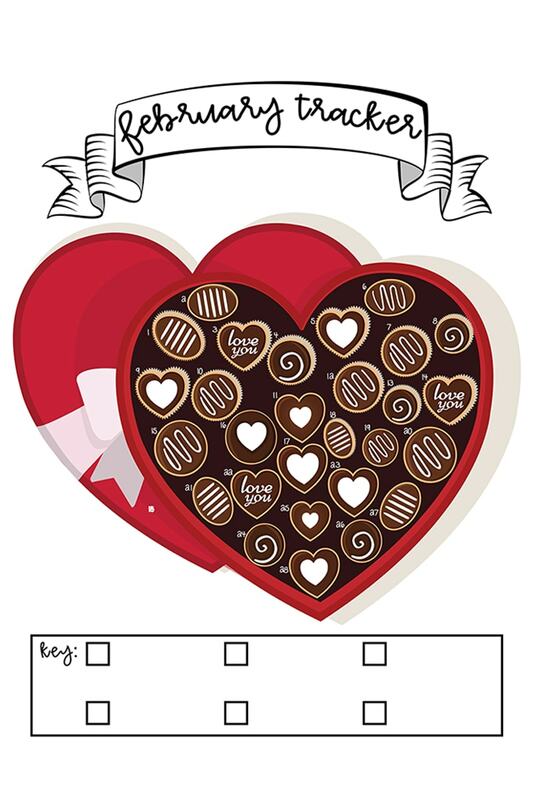 I have a cute Valentine’s themed tracker ready to download for free today. 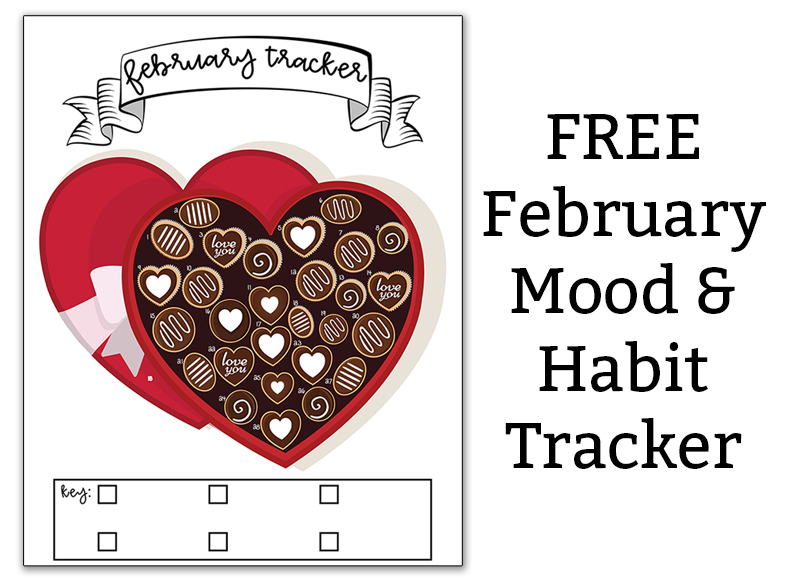 It’s an easy design that can be used to track either your mood for the month or a habit (click to see some tracking ideas). Simply color in the design of each chocolate with a color coordinating to your mood or habit. Here is what’s included. 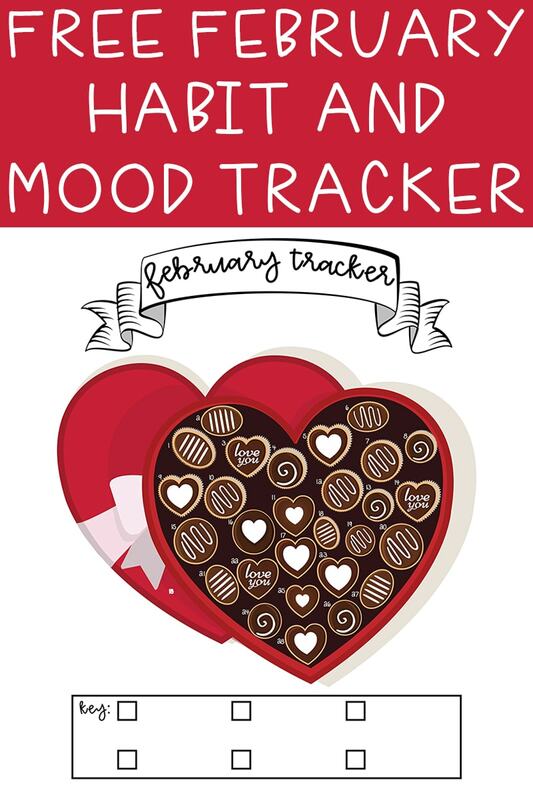 The mood tracker is available in 28 days or in 29 days for a leap year. 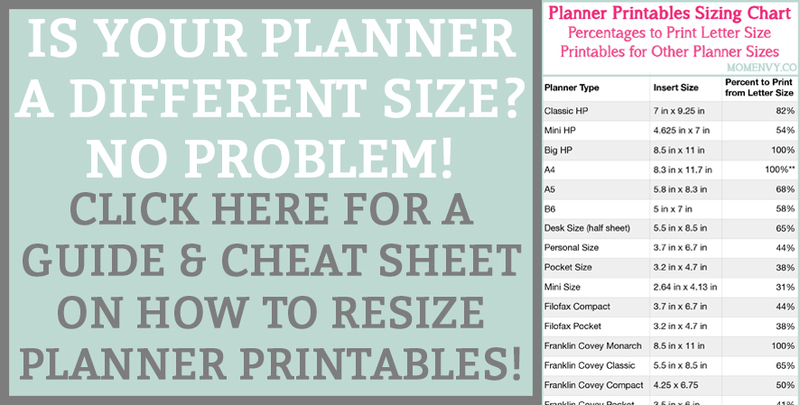 You can also download it with or without a predesigned key. Below, you can see a blank example of the tracker. Next, is an example of it being used as a February mood tracker. Simply click the “Click me to Download” image below to get to the paged where the file is located. You’ll need the members-only password to download the file (subscribe here). Thank you so much! they are lovely!! !